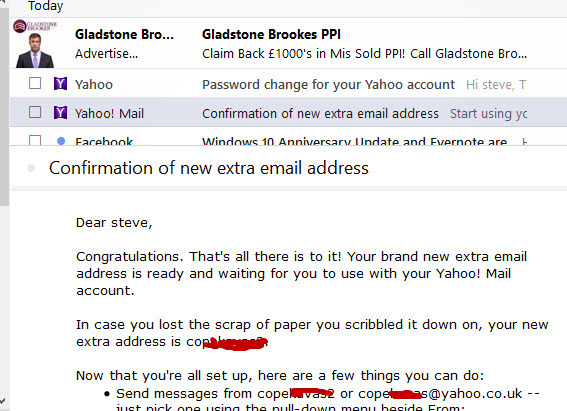 Is your current Yahoo email address no longer appropriate? Do you want to change it? Many people have signed up to Yahoo mail and other free providers using strange email addresses like sexy_babe@yahoo.com, and would like to change it to a more suitable address like janedoe@yahoo.com. 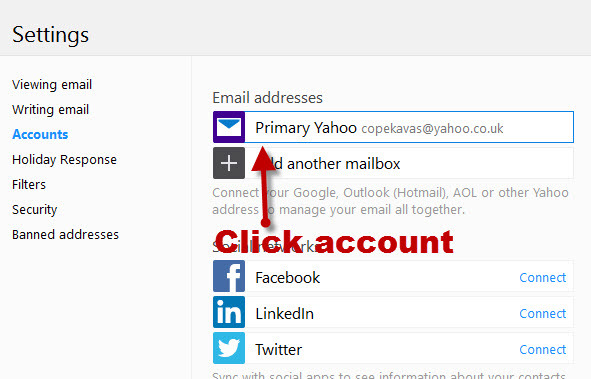 You can Create a new Yahoo account using the new email address. 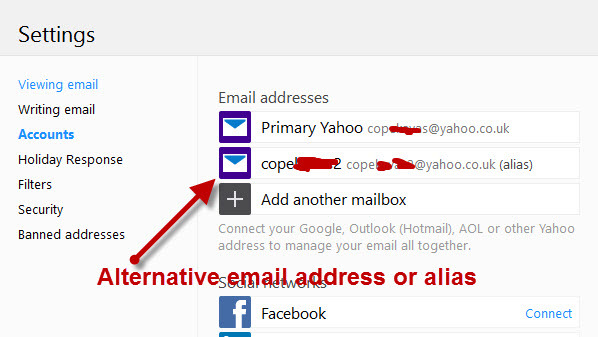 You can Create an extra email address in the existing Yahoo mail account. Although creating a new email account is easy to do, and there is nothing stopping you from having two Yahoo email accounts, it does present problems? Do you close the old account? What happens to emails sent to the old address? How do I access old emails and contacts sent to the old address? This approach is basically an email move and is best avoided if possible. 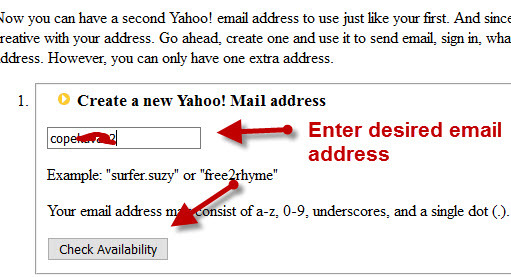 Yahoo lets you create an email alias to your existing Yahoo address. Using an email alias or additional email address gives you easy access to both your old emails, and contacts, and your new emails and contacts using a single account. The account effectively has two email addresses, the old address and the new address or alias. To create an email alias to you existing yahoo email address login to your existing Yahoo account and go to Yahoo settings. On the right side you will see a list of your accounts. Click on the primary account. Scroll down and under the email signatures box you will see an option to create an address. Click create address and you will be taken to a screen where you enter the new address. Provided the email address you choose isn’t taken you will asked to confirm the address, and you will get a confirmation screen at the end telling you that the new address is available. You will also receive an email in your inbox. If you go back to the Settings>accounts you will see the second email address listed. The new email address that you’ve created can be used to sign into your Yahoo account just like the original address, and any password changes affect both email addresses. If you want to use the alias as the main email address to replace the old address set the new email address (alias) to be the default sender address. You can now send an email to all your contacts informing of the change of address, but even if some contacts continue to use the old address you will continue to receive emails from them, as email sent to either address will appear in the inbox. Email Sent to Either Address Will Appear in Your Yahoo Inbox. I sent emails to both the old and new addresses (screen shot below) and you can see that they appear in the same inbox, and you cannot tell which address they were sent to unless you open them. If your old Yahoo address is no longer suitable you can easily create and change to a new Yahoo email address by using additional addresses or aliases. Using email alias gives you access to all of your old email and contacts and retains access to your old email address. Q- How many email aliases can I have?